Michael (Mike) Margolis is a watch collector. Mike’s passion for watches began sometime in high school when his father gave him an Omega Seamaster. Mike vividly recalls winding it, setting it, putting it to his ear and falling in love with the little machine on his wrist. In his youth, Mike dreamed of a career in the CIA. He earned degrees in Latin-American Studies and Foreign Language at the University of Connecticut, learning to speak Spanish, Portuguese and German. Upon graduation, he applied for a foreign language position with the CIA and had three interviews in Langley, Virginia. After his fifth week of testing, he received the disapponting news that the CIA declined to extend a job offer. Mike earned a fellowship to study in Lisbon, then travelled to Germany to teach English. After returning to Connecticut to marry his school sweetheart, Mike dabbled in his father’s blueprinting business. Fascinated by the optical instruments used for map surveying, Mike moved on to the emerging hi-tech field of global positioning systems (GPS). Mike worked in the GPS industry for ten years until Jean-Claude Biver hired him to work for Hublot. 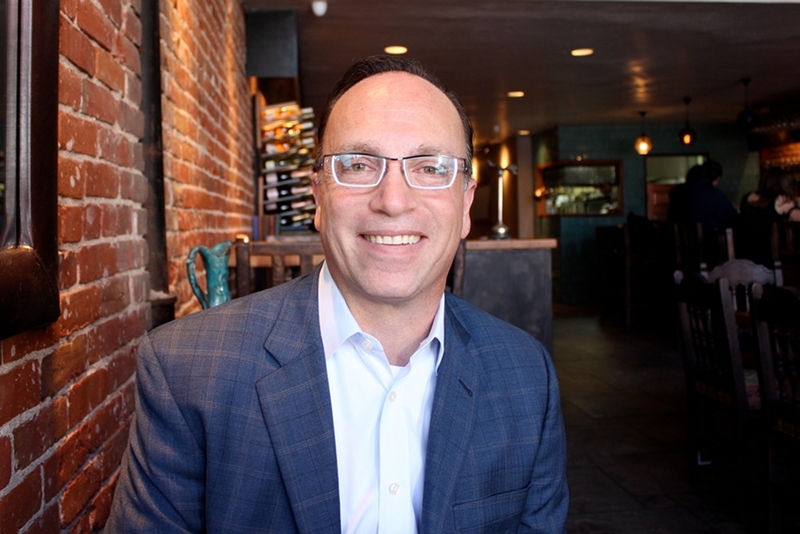 Mike Margolis (MM): In 1996, I discovered Watchnet and realized I wasn’t the only person who liked watches. Someone on Watchnet mentioned TimeZone and I found this website. This was the very early days when Richard Paige, William Massena, and Kohei-san were regulars. I started as a vintage watch collector mainly because I couldn’t afford new pieces. After I became the Blancpain Forum moderator, I started an online-correspondence with Jean-Claude, who was CEO of Blancpain. In late 1996, Jean-Claude wanted me to help arrange a collectors dinner in New York. That’s the first time I met Jean-Claude and the first time I met Michael Sandler and Ray Purkis. After the dinner, Jean-Claude told me it was the first time he met his customers. He was so used to dealing with suppliers, distributors and everyone in the industry, he never actually sat down to meet the customer who ultimately buys his watch. MM: I’m sure it wasn’t the first collectors dinner. But it certainly was one of the first. Until then, the brands had been very standoffish with their customers. I told him, “I’d buy that watch.” He said, “Yes, OK, but that’s not why I wanted to see you. We want to start a sponsored forum on TimeZone”. After that breakfast, I approached Michael Sandler and William Massena to convince them to try a sponsored forum where Jean-Claude would actively engage with forumners online. MM: Yes, in April 2005 the Hublot Forum launched simultaneously with the Big Bang launch in Basel. Two years later, at a Pre-Basel collectors event, Jean-Claude offered me a job as Communications Director. 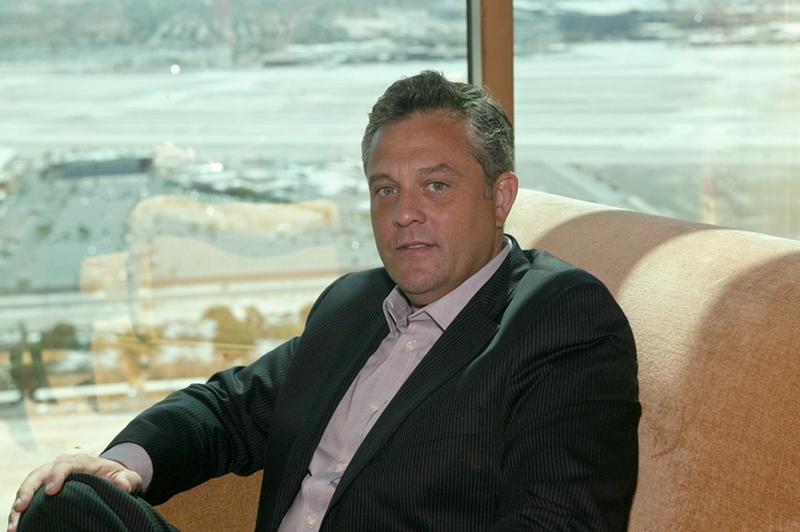 Then in January 2008, I was promoted to Sales Director for Hublot of America. Ever since 2005, we saw the company go through tremendous growth. MM: It’s been an exhilarating ride. Each day, I can’t wait to wake up and start my day. Girard-Perregaux in-house Calibre GP03300TZ: You’ve made the transition from online watch enthusiast to watch industry executive. Do you still consider the Internet relevant? MM: Absolutely! Any brand who ignores the power ofthe Internet is doing their company a disservice. MM: It’s not only relevant, it is important. People are much more connected now. TZ: As someone who’s managed national sales and distribution, do you think the typical consumer is Internet savvy? MM: Sure. We can see that many Swiss brands are nowTimeZone sponsors. And in a bigger sense, we see pricing parity. Switzerland sets the worldwide prices of watches. Because people are so connected through the Internet, the pricing in Geneva needs to be the same as New York and Buenos Aires. Otherwise, someone in Geneva will lose a sale to someone in New York or Buenos Aires over the [nominal] cost of a wire transfer and FedEx bill. MM: At the retail level, no. I don’t think many watch retailers understand the educated consumer. They understand some elements of the Internet, but not all. MM: As soon as a customer opens his/her mouth, a retailer should know if the customer is an educated consumer or not. It becomes very obvious whether or not the customer has studied technical details and different model variations. Some educated consumers actually enjoy playing “Stump the Retailer” by asking very pointed technical questions about the movement or manufacturing. MM: Well, the first few months I imagine will require a lot of studying about the organization. Learning about what’s right, what’s wrong. 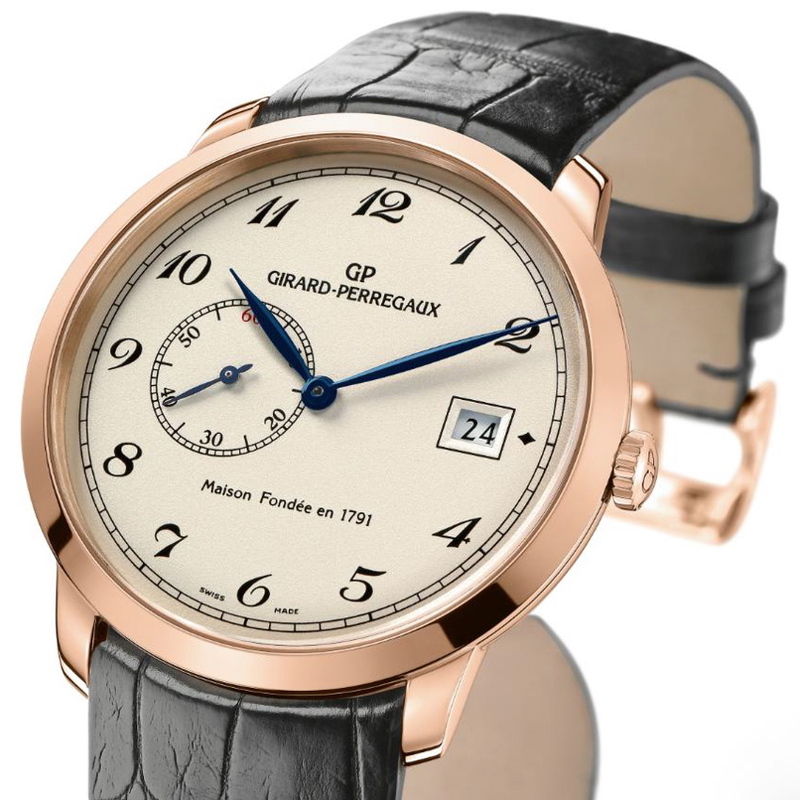 Then, I have some big plans for connecting with Girard-Perregaux and JeanRichard customers. So many brands don’t connect with their customers. I have every intention of connecting withour customers. This is very important to me and everyone at Girard-Perregaux and JeanRichard. TZ: Over the years, I’ve watched you implement ideas and those ideas have proven to be very successful on more than one occasion. I think I echo many at TimeZone who wish you continued success. MM: Thank you. But don’t make me sound arrogant! [Laughs] I’m just a regular guy who loves watches and I love what I do for a living. I still can’t believe I get paid for playing with watches every day. But thank you. TZ: Thank you, Mike. This was a pleasure and I appreciate how much insight you’ve shared with everyone at TimeZone. © Timezone. All rights reserved. Rodolfo “Rudy” Chavez is an American success story. His story begins in the 1960s, when his parents fled Cuba. After the Chavez family immigrated to the United States, Rudy grew up and put himself through college by working odd-jobs at a New Jersey jewelry store. Eventually, he worked his way up to become the President of Baume & Mercier North America. In the 1960s, the Chavez family owned a home and lived a comfortable lifestyle in Las Villas, Cuba. However, Rudy’s father was an outspoken critic of Fidel Castro’s government and, in 1966, his father was arrested and imprisoned. Rudy’s father languished in prison for over a month. Uncertain of his fate, Rudy’s father was finally given an ultimatum: either leave Cuba within 24-hours or be executed as a politcal dissident. Then, just 5 years old, Rudy recalls his father’s release from prison and the family’s immediate departure on an airplane to Spain. The Chavez family left their homeland penniless and, literally, wearing the clothes on their backs. The family remained in Spain for a year until they arrived in New York City. Rudy recalls his parents’ arrival on a Friday night. Although neither spoke English, the following Monday, both parents went to work at jobs secured by their relatives. Rudy’s father was 40 years old and went to work at Gimbels department store as a stock boy. His mother went to work at an embroidery factory. By 1970, the Chavez family moved into a tight-knit blue collar community in Union City, New Jersey. Rudy was 7 years old. Through his parents, Rudy learned the values of hard work, humility, ethics and, most of all, the determination to meet and overcome every challenge. TimeZone (TZ): Your family overcame quite a number of challenges. Rudy Chavez (RC): You learn quickly that you can work through challenges. I saw that in my father, and in what he overcame. Here was a man who didn’t speak English when he arrived and had to start over at 40 as a stock boy. Yet, he worked hard enough to own his own business within a few years. TZ: Your parents sound like a strong influence in your life. RC: They are and I’ll never forget how hard they worked. My mother worked in a factory. At that time, Union City was the garment capital of the country and she worked at an embroidery factory. Not only was her work very hard, but I recall vividly her waiting outside our home each morning for her ride to work. Every morning, she waited for a co-worker to pick her up in a van. Even during the winter when it was 20-degrees, she would stand outside and wait. My parents’ work ethic was ingrained at a very early age. TZ: How did you find your way into the watch industry? RC: I put myself through college by working odd-jobs at Continental Jewelers, a family-owned jewelry store in New Jersey. I literally started at the bottom, vacuuming the floors, cleaning the windows, pretty much anything that needed to be done. Then, one day I got a promotion. I still had to vacuum and clean the windows, but I was also promoted to sales. TZ: That sounds like a promotion and a demotion at the same time. RC: [Laughing] It was, and I learned retail sales from the bottom up. It was a great opportunity because I learned right away how much I enjoyed sales. In the jewelry industry, you help clients select that special piece for a special moment, whether it’s a wedding, a birth of a child or an anniversary. There’s a connection to something meaningful in their lives. So it’s something I immediately enjoyed doing. TZ: Did you work at Continental until you graduated? RC: I did. I eventually earned a degree in Accounting. But I enjoyed working at Continental so much that I continued working in sales until I became a manager. I was about 30 years old when I finally left Continental for Saks Fifth Avenue, where I sold watches and jewelry. I worked at Saks for five years before I was hired by Sector. TZ: Is that Sector the watch company? RC: Yes, in 1992 Sector Watches hired me as a Visual Merchandiser. Sector was a great experience because the company provided me a background in several aspects of the business ranging from merchandising, sales and eventually regional and national accounts. I was very happy at Sector and never intended to leave, but several retailers recommended me and I was recruited by Baume & Mercier. That was 15 years ago and I’ve been with Baume & Mercier ever since. 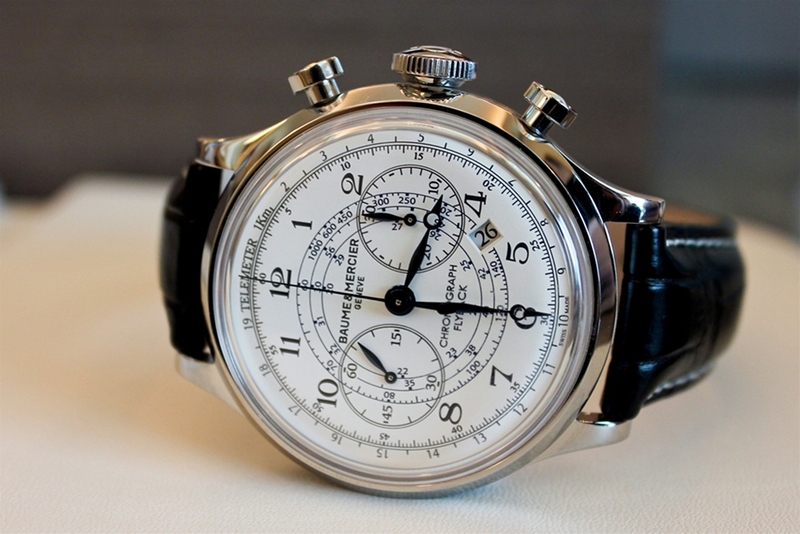 TZ: What position did Baume & Mercier recruit you for? RC: I was hired as the New York Regional Manager. From there, I became Director of National Accounts and, previous to my current position, I was Vice-President of Sales. TZ: Sounds like you’re a natural leader. You certainly enrich the company. What makes Baume & Mercier different as a watch company? 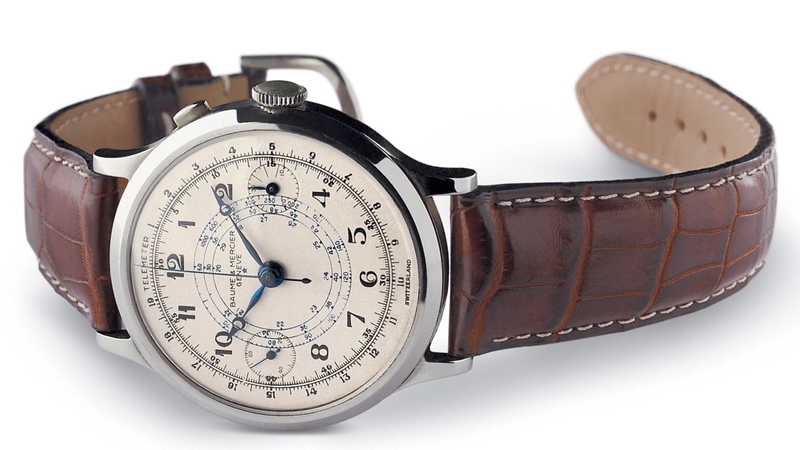 RC: Baume & Mercier has a rich heritage and an authentic pedigree. Since 1830, the company has only specialized in fine timepieces. Today, we specialize in contemporary classics that are affordable. 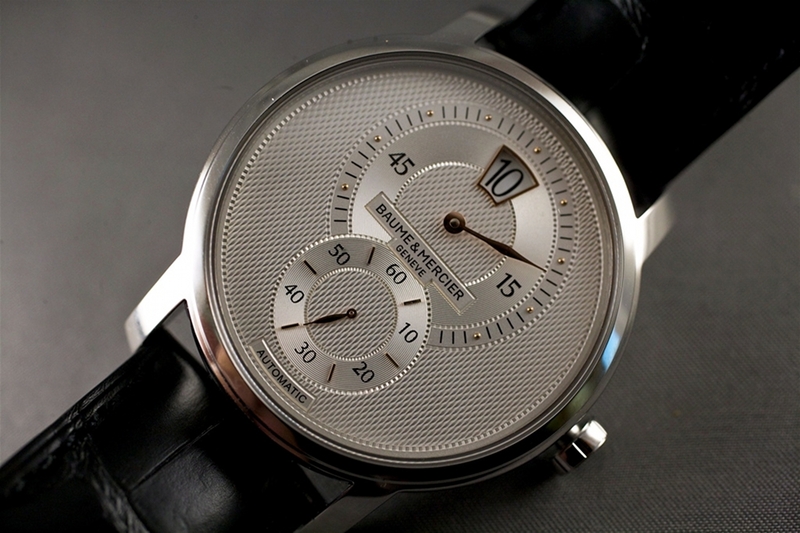 For Baume & Mercier, it’s important to provide our clients with timeless designs and value. 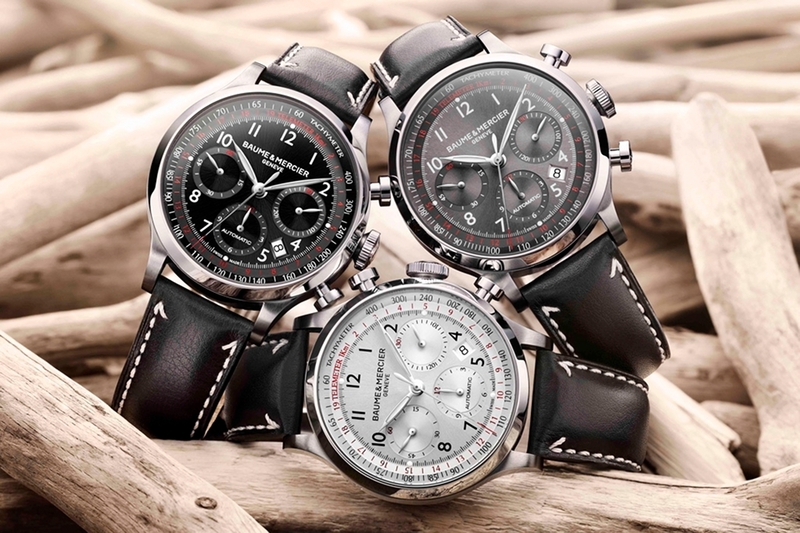 For 2011, we focused on an historical chronograph as the inspiration for the new Capeland collection. TZ: The new collections are handsome, timeless, classic designs. RC: They are. The other quality I appreciate is that Baume & Mercier has always been a brand that’s been very special to owners. They either purchased or received a Baume & Mercier on a special occasion. There’s an emotional connection behind our timepieces and it’s common to hear how our clients wear them with incredible affection. TZ: That’s interesting because, while we were dating in the mid-1990s, I purchased a [Baume & Mercier] Hampton for my husband when he completed graduate school. He still owns that watch and I’m surprised how often he wears it since he owns other watches that cost many times more. 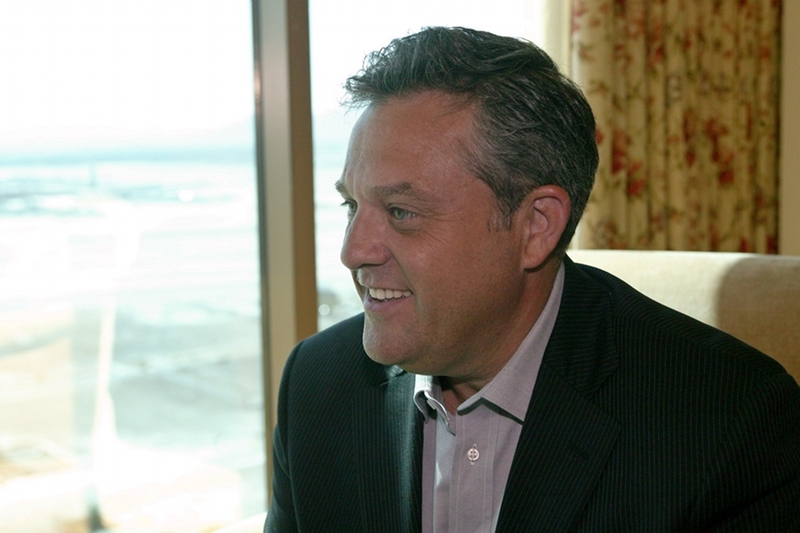 RC: This is a common story I’ve heard from many clients because this emotional connection has always been an authentic part of the brand. But also, that Hampton — does it have a curved case? [Affirmative nod]. That model launched in 1994 and it has a timeless, elegant design. We’ve come full circle as a brand because our new CEO, Alain Zimmermann, has found a passionate way of communicating the emotional aspect of being a part of our clients’ special moments. Mr. Zimmermann thought of our new campaign, “Life is About Moments”. This is so true to the brand. TZ: Thank you for taking the time to talk. Yours is a truly inspirational story and it was a sincere pleasure meeting you. 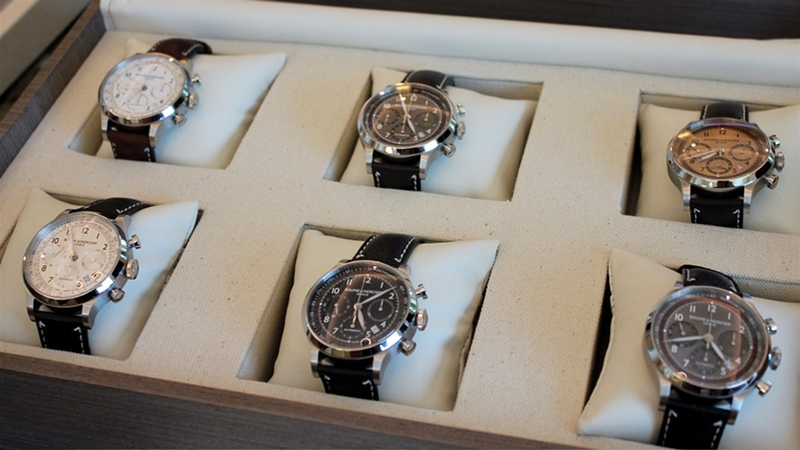 For more on the Baume & Mercier novelties, please see Up Close with the Baume et Mercier 2011 Novelties.